It then examines the discovery of Neptune, Einstein's theories of Special and General Relativity, Hubble's expanding universe, and the discoveries of quasars, white dwarfs, neutron stars, pulsars and black holes, and finally ends with astronomy's modern frontiers - the great attractor, dark matter and life existing on an extrasolar planet. Astronomy turns our eyes to the skies. 00:05:40From Ptolemy and Greek Science to Galileo to Kepler astronomy was defined by the discoveries of celestial bodies, the moons of Jupiter, the rings of Saturn, gravity and inertia. 00:04:41Newton wrote the The Principia, introduced the laws of motion, including the first law of motion and the second law of motion, which included the concepts of the law of inertia, velocity and force, and used calculus co-invented by Wilhelm Leibnitz to lay the ground for discoveries by Sir William Herschel and Pierre Laplace. 00:02:43Neptune was discovered by John Adams and Le Verrier, and Pluto was discovered by Clyde Tombaugh using the principles of Copernicus and Kepler. 00:05:03Special Relativity and General Relativity, were theories created by Albert Einstein in which he defined the speed of light and produced the formula E=MC2. 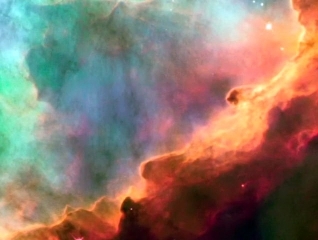 00:04:36Understanding the expanding Universe began with Copernicus and the discovery of the universe and the further discoveries of nebula and galaxies, which were added to by Edwin Hubble and his theory of the Big Bang. 00:01:58Quasars were discovered by Martin Schmidt. 00:04:52White Dwarfs, Neutron Stars, Pulsars and Black Holes are part of our universe. 00:02:25Great Attractor and Dark Matter are mysterious aspects of our universe. 00:04:2021st century astronomers saw billions of galaxies, hypothesized the big bang and discovered extra solar planets.